Did you know that having flat feet is often a sign of general hypermobility in children? Whilst I have always been aware of this, it has become more noticeable since working at the Osteopathy & Podiatry Centre, with podiatrists Helen Crawford and Robert Ashton, for the last two years. 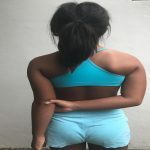 Hypermobility is a condition in which there is more movement or mobility at a joint beyond the normal range of most peoples’ joints. This can happen at a specific region of the body or multiple joints of the body. To help prevent symptoms strong muscles are required to help support weak ligaments therefore regular daily exercise is important in children. Specialised exercises can be prescribed for core strengthening by your practitioner. Call 6734 4236 if you would like an assessment for your child with Grace.